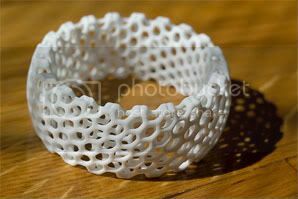 3D printing is quickly becoming the way to produce intricate or previously seemingly "impossible" designs. 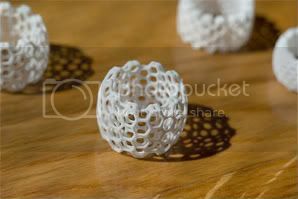 This ring by Nervous System will premiere this year at ICFF, demonstrating the SLS (Selective Laser Sintering) process. but it is still pretty darn cool.